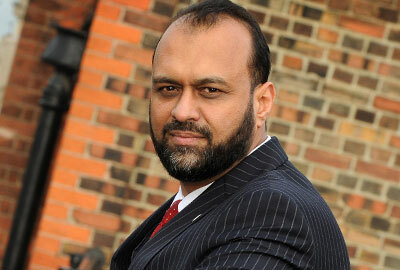 Victim Support has found "no evidence to substantiate claims" against chief executive Javed Khan. The charity said that its trustees had begun an independent investigation after The Mail on Sunday reported last month that Khan had used a group of armed men with automatic weapons to threaten rivals during a land dispute in Pakistan. At the time, Khan described the allegations as "either false or a gross distortion of the truth" in a personal statement. He denied threatening anybody during the incident, which occurred during a private trip, and he denied that he or any of his associates had been armed. Khan took mutually agreed leave from the charity while the investigation was carried out. In a statement issued today, the charity said that Khan had cooperated fully throughout the investigation, which involved interviewing a "number of individuals" and examining documents about a land dispute in Pakistan. The charity said that it had found no evidence to substantiate the published allegations, although it did not specify which allegations were false or explain what had happened. As a result, Khan will return to Victim Support as chief executive for "a short time", the statement said. He is due to join Barnardo’s as chief executive in April. Enid Rowlands, chair of Victim Support, said in a statement: "The independent investigation has concluded and found no evidence to substantiate these allegations. Javed will be returning for a short handover period before he leaves Victim Support." Rowlands thanked him for his leadership of the charity over the previous three and a half years. Khan said in a statement that he was pleased to have been cleared of the allegations by the investigation. "I look forward to continuing my leadership career and to serving British society as a whole," he said. Victim Support has been recruiting a new chief executive and said it expected to make an announcement shortly.